Thank you Monica from Just 5 More Minutes for sharing this super cool video today on Facebook. I watched the video and it got me pumped up and ready for our new “Beatrice” and the winter months here in Colorado. 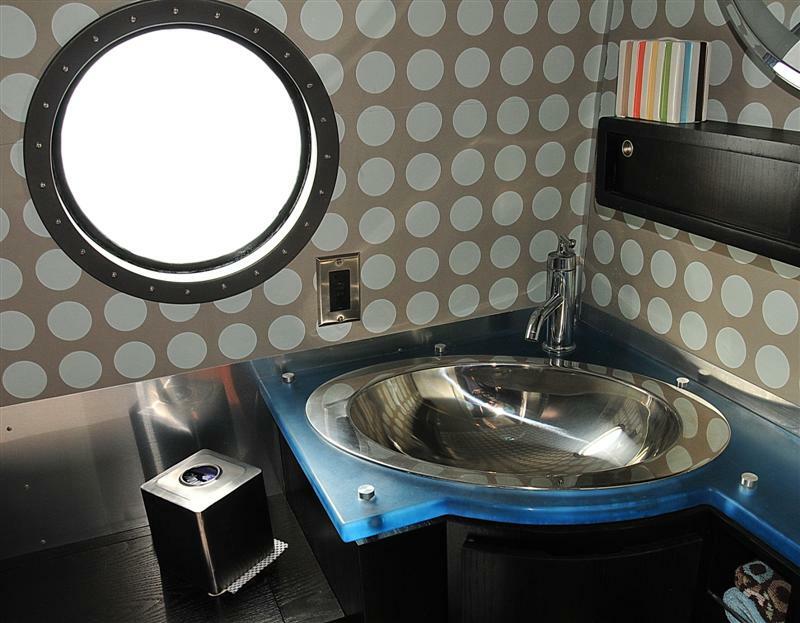 The video shows the customized interior created by Airstream and Timeless Travel Trailers for First Ascent. It’s one of a kind and worth taking a peek!! 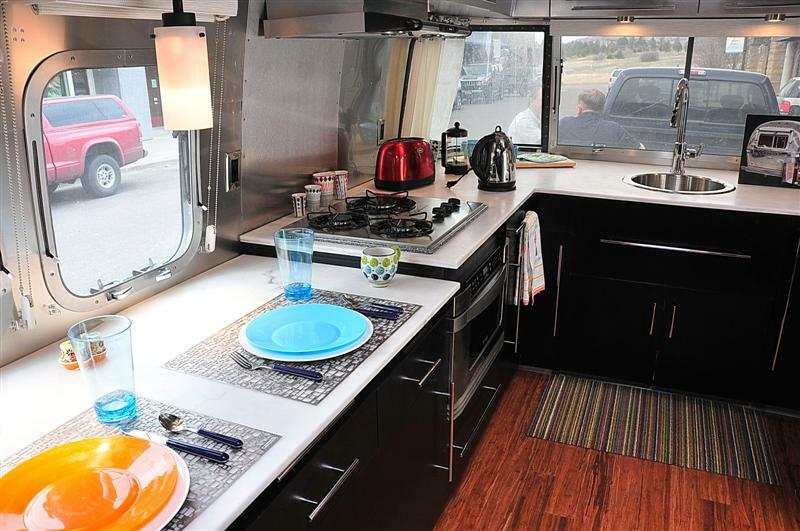 Back in March of this year, I was honored to have been able to tour the Denver facility of Timeless Travel Trailers. You can read my first post on Timeless here. 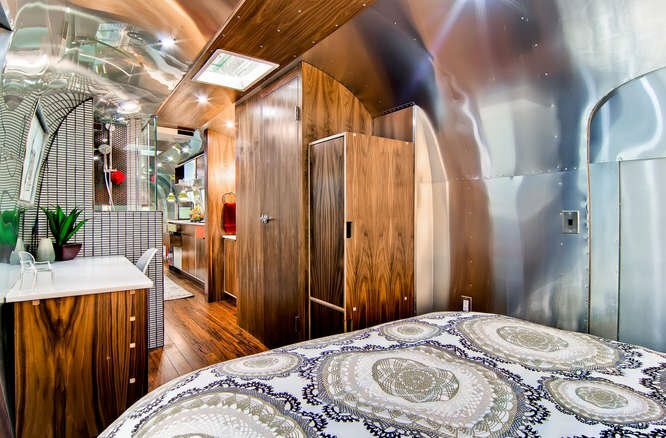 Since our visit, Timeless has completed the gut renovation of this iconic and extremely rare 40′ Airstream. The photo above was taken during my visit in March. 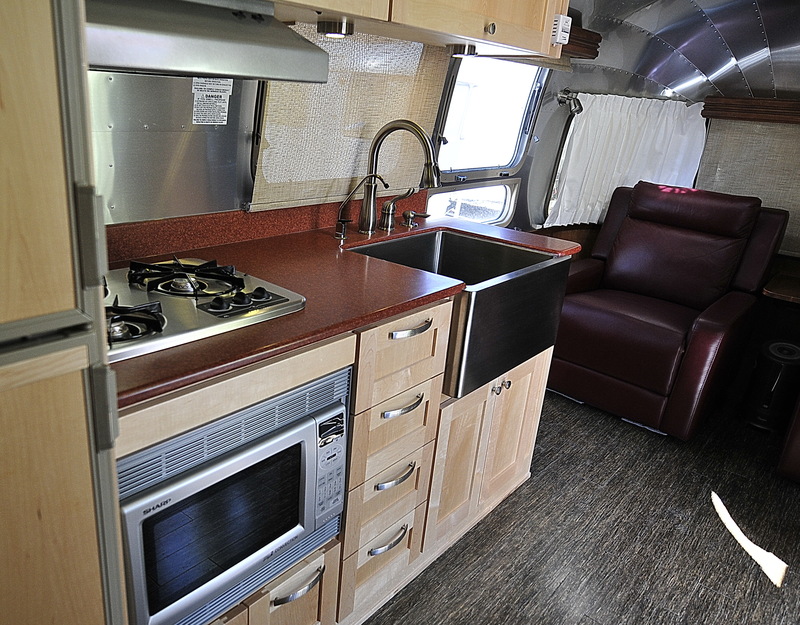 I am thrilled to share with you the final results of this magnificent renovation in the photos below, all courtesy of Timeless Travel Trailers. 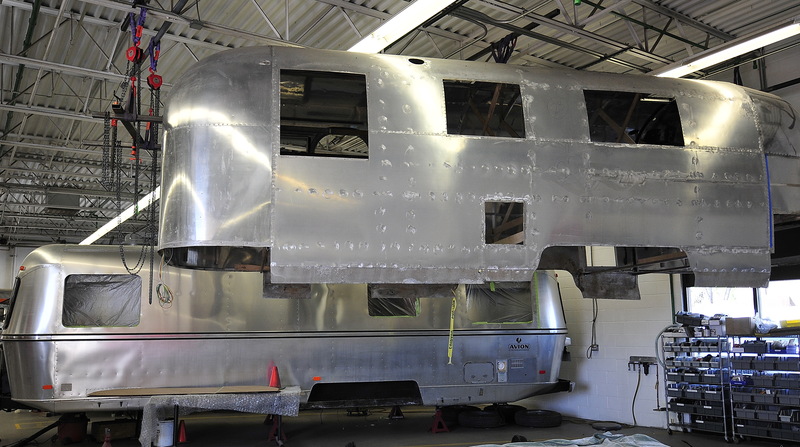 Since this Airstream isn’t towable, the “Mona Lisa”, privately owned, will be moved to her new home in the west where she will be cared for by an owner who truly has brought her to back to her glory and then some! 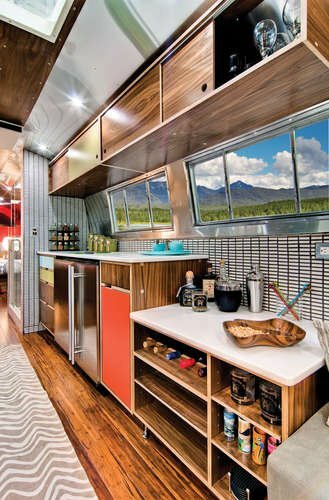 “The Western Pacific Railroad Company commissioned only ten of the 40′ Airstream trailers in 1962. 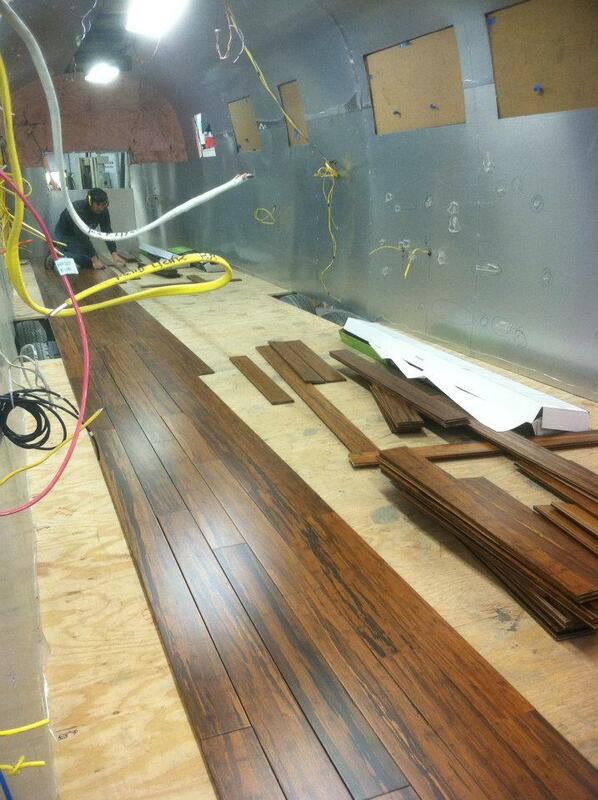 They were used for Maintenance of Way Foreman. 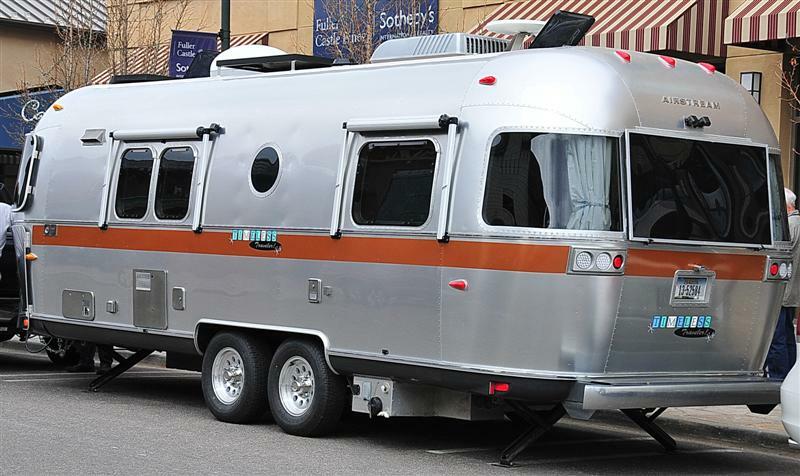 The design of these Airstreams was different from others of the same model year in that they were symmetrical from end to end rather than having the sloping tail. 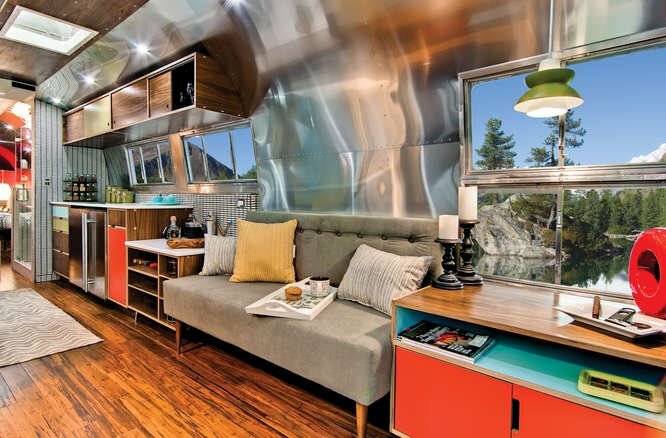 They were created by riveting two 20′ trailers together in the middle. The trailers were mounted on 50′ railroad flatcars when new and spent the rest of their working days on the rails. Most railroads used their retired passenger equipment for MOW work. The Western Pacific had very modest passenger operations and ran a very tight budget. 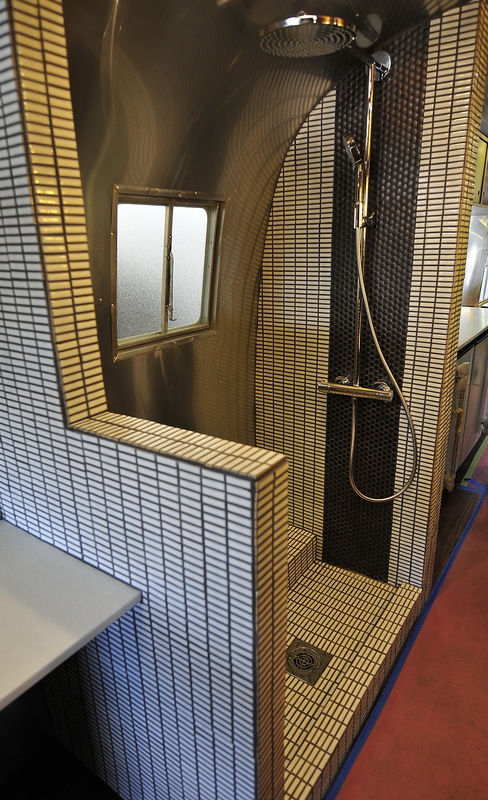 This kept almost their entire passenger fleet in revenue operation until the 1970’s with the inception of Amtrak. 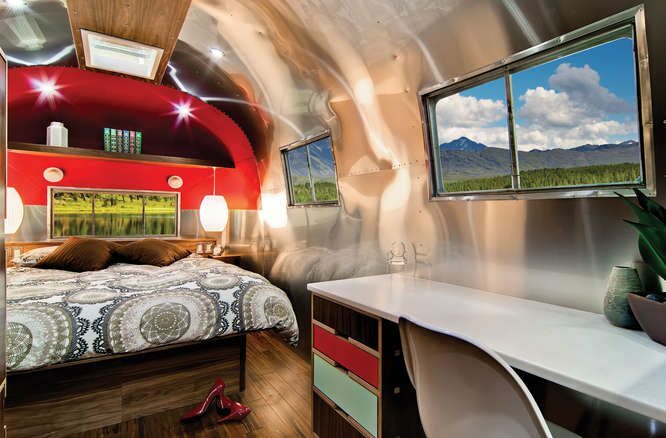 For Western Pacific, the investment in the Airstreams made good economic sense. The Western Pacific was acquired by the Union Pacific Railroad in 1989. 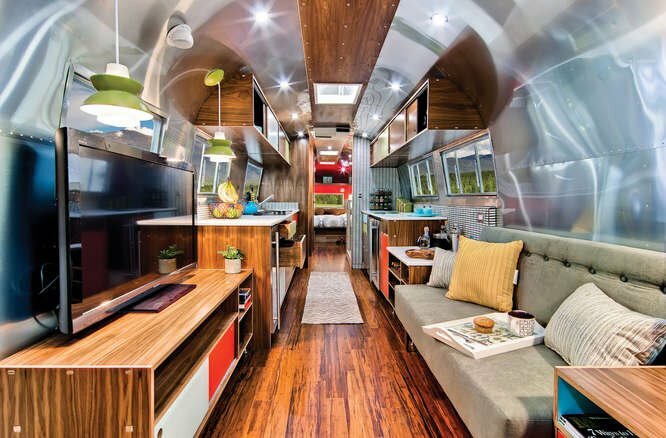 The Airstreams were dismounted from their flatcars for the first time in 27 years. One unit went to the Western Pacific Railroad Museum in Portola, CA. Another unti went to the California State Railroad Museum in Old Sacramento, CA and the remaining units were sold in various auctions. 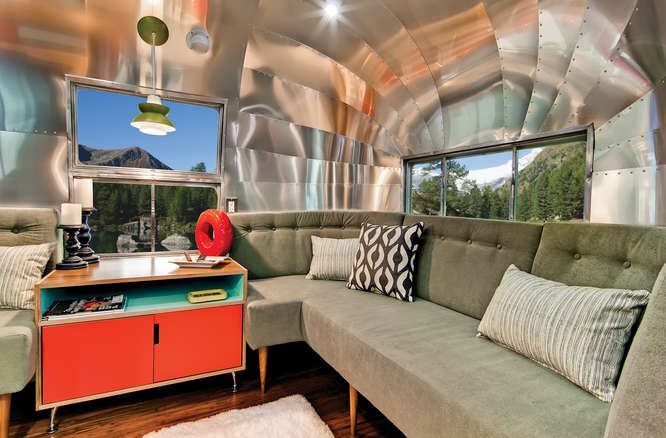 It is noted that two were destroyed while in railroad service.” That would leave five of the units in private possession in addition to this fine example that Timeless completely renovated. I had the honor yesterday of touring Timeless Travel Trailers 13,000 sq ft manufacturing facility here in Denver, Colorado. Our tour guides were none other than Danielle Garrison, Project Designer and David Hissem, Estimator. 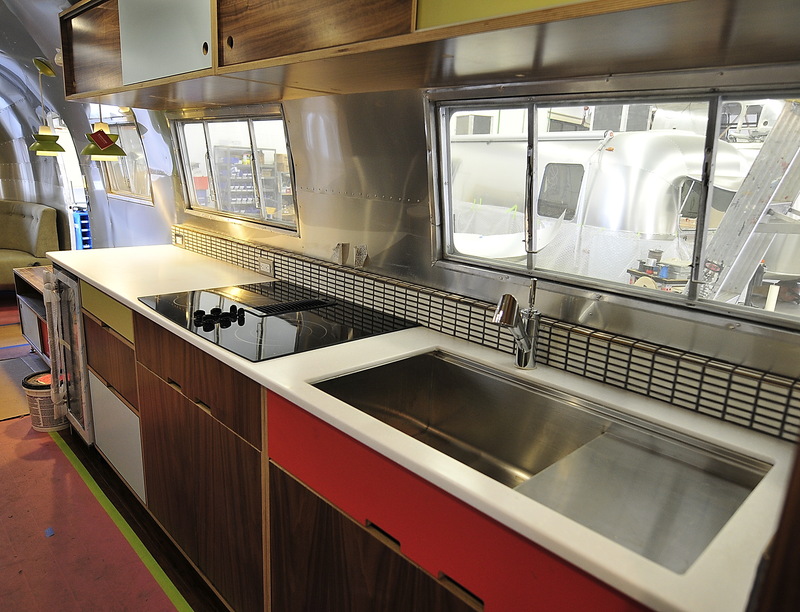 As future Airstream owners it was fascinating to learn of so many options to modify a trailer. 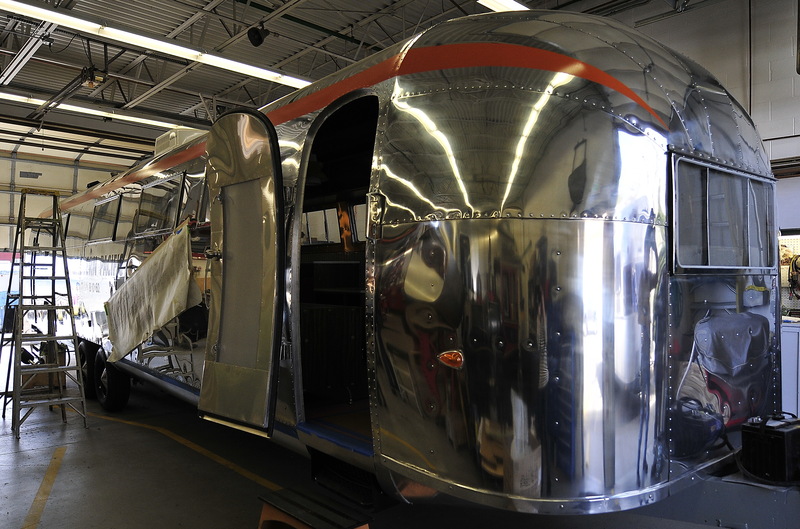 One can choose from full restoration, personalization, upgrades or customizing a shell to make your trailer the dream machine. 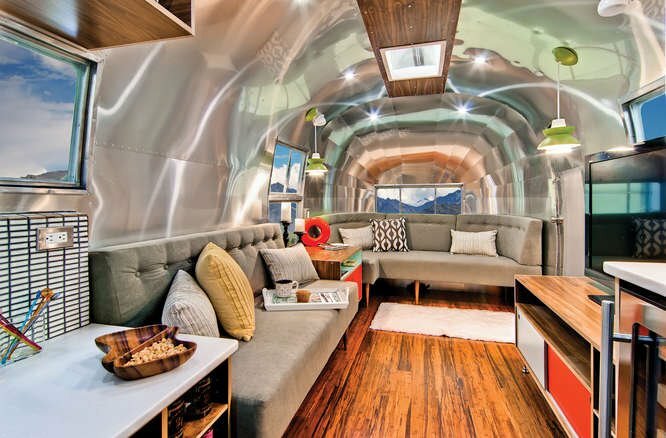 We were so fortunate to be able to witness and step inside a 40′ Airstream. 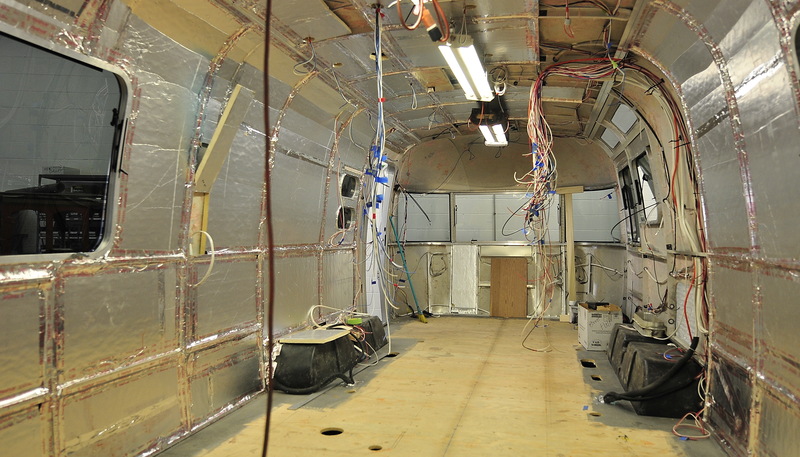 This is one of only ten 40′ ever built. My camera lens was barely wide enough to capture this beauty. 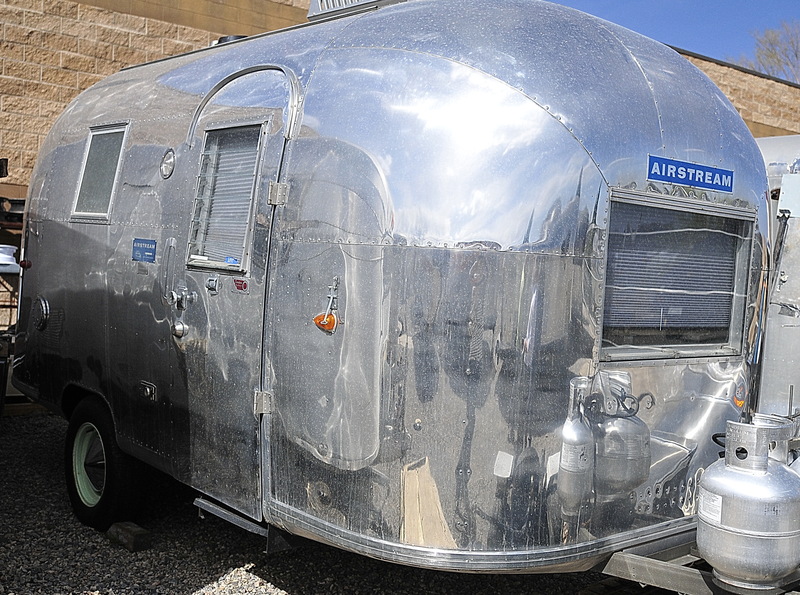 The 40′ Airstreams were built for the railroad to house workers. 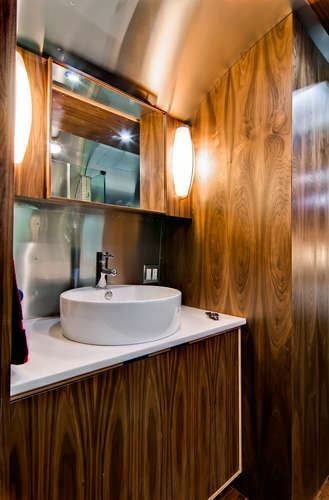 This trailer has been completely gutted and renovated for a private owner to live in. It’s too long for road worthiness, so it will be parked and enjoyed for years to come. 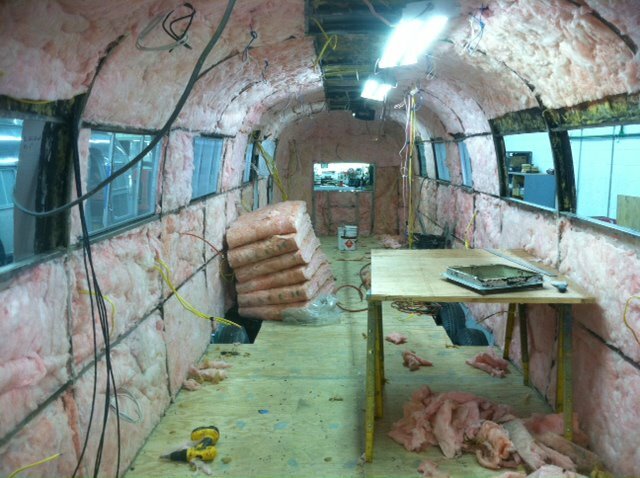 We also toured a 25′ Airstream shell that will be completely customized with cherry cabinets and a slew of other magnificent upgrades. The staff at Timeless is uber friendly and they even sport a few resident pooches to make your visit extra special. 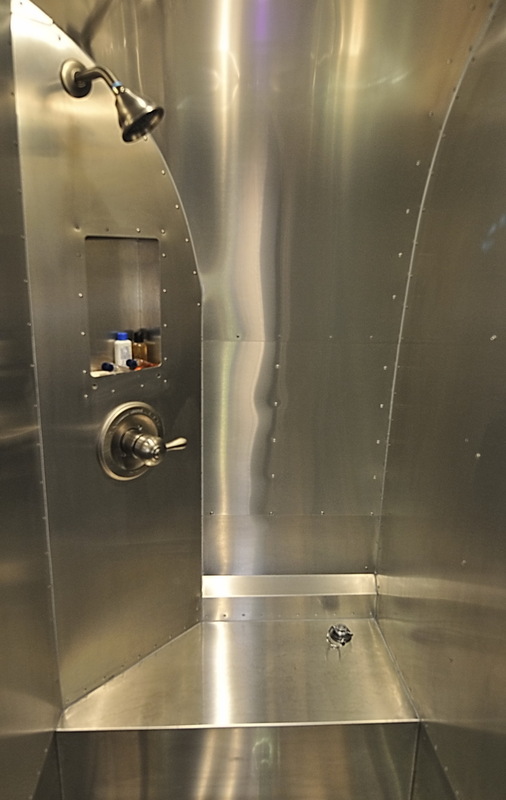 I look forward to sitting down with Danielle and David soon to discuss options for various upgrades including an all aluminum shower with a stainless steel floor. Just love that!! 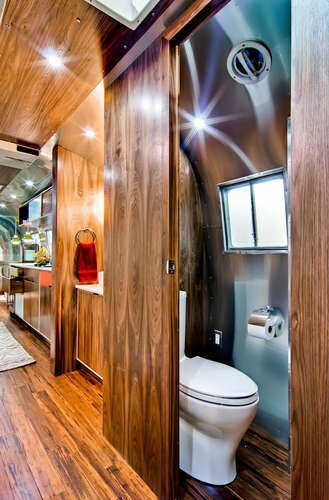 From celebrities to private owners to commercial trailers, Timeless Travel Trailers can make all of your trailer dreams come true! And by the way, The Travel Channel was filming just this week at Timeless for an upcoming show!! I’ll post more on that episodes when it’s scheduled. 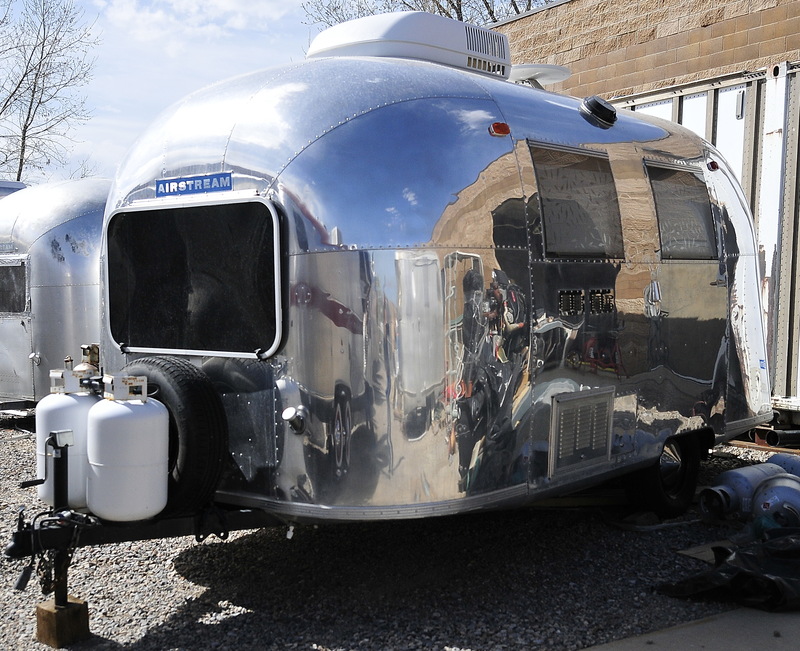 This past Saturday, Hubs and I were guests at the monthly luncheon for the Denver unit of the Wally Byam Caravan Club International. Thanks goes out to Kip E. for kindly sponsoring us. We arrived in Castle Rock, CO at a Mexican restaurant (even though it was St. Patty’s Day!!) to be greeted by so many kind and curious folks. 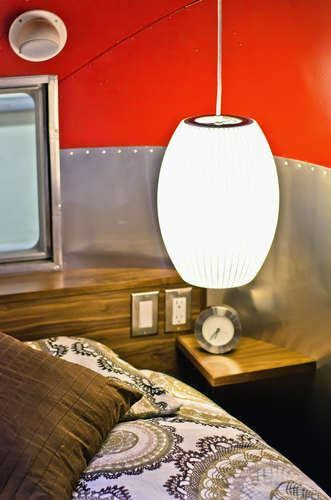 They all come from different backgrounds but, all have one thing in common ~ their love for Airstreams! I was giddy with excitement to be around so many people who shared the same passion as I do. They yearn for adventure and travel and are very keen to share their experiences, which I truly appreciate. The group is a nice mix of “Vintage” owners and “New Model” owners but, they all blend so nicely. 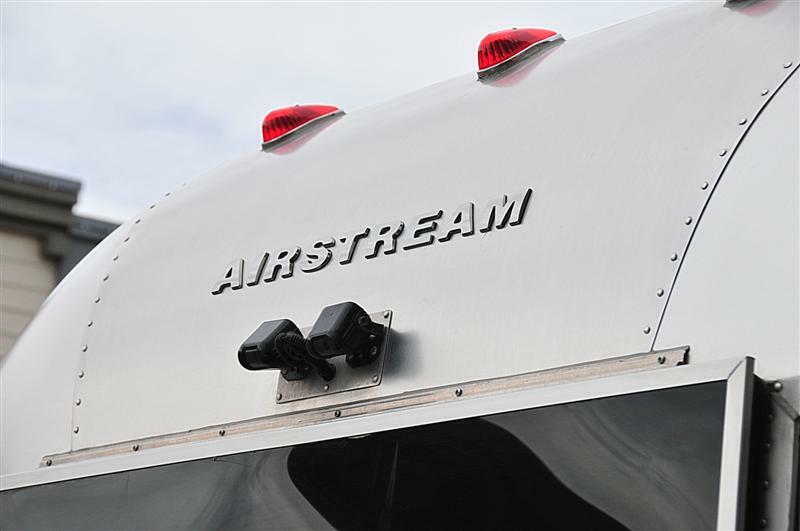 I can’t wait for the day when I too will proudly wear the name badge because that will be the day that I own my Airstream. 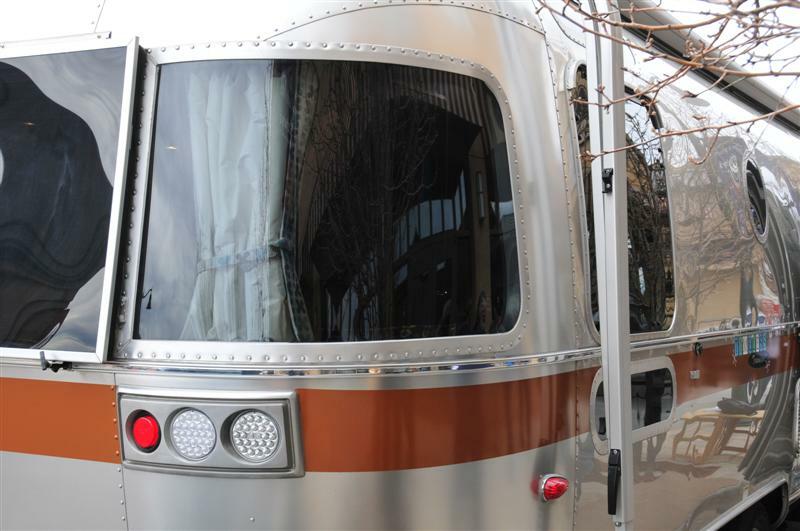 Timeless Travel Trailers was the guest speaker at the luncheon. 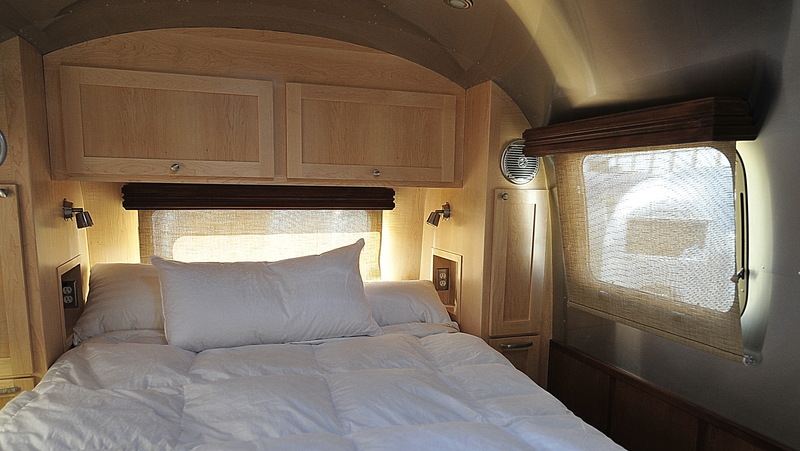 Timeless brought with them a gorgeous, completely custom 25′ Airstream. 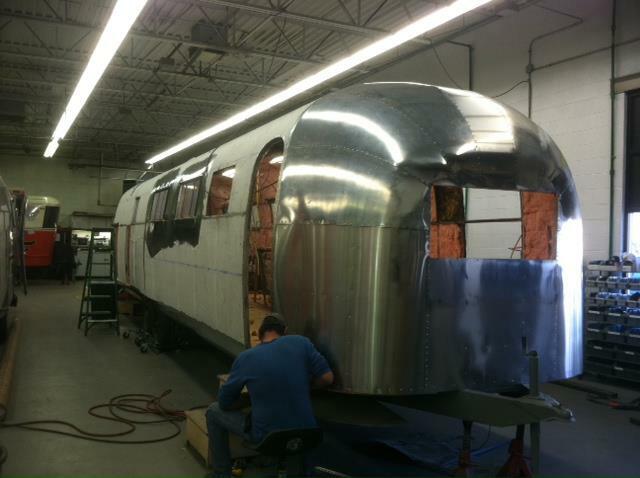 After speaking with David Hissem, who is salesman extraordinaire for Timeless, I learned that this particular project started with an empty Airstream aluminum shell and after 4-6 months of design implementation, the finished product is now ready for the lucky couple who owns this beauty. 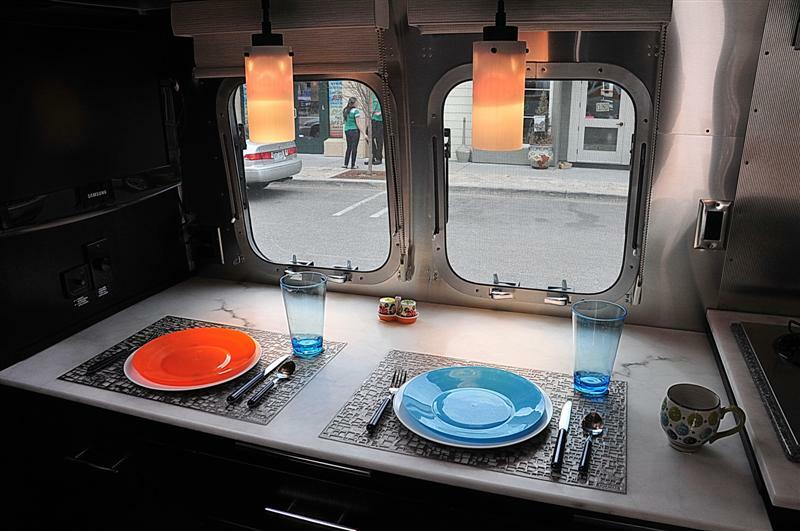 Timeless moved the front wrap windows up a few inches to make room for the magnificent kitchen. 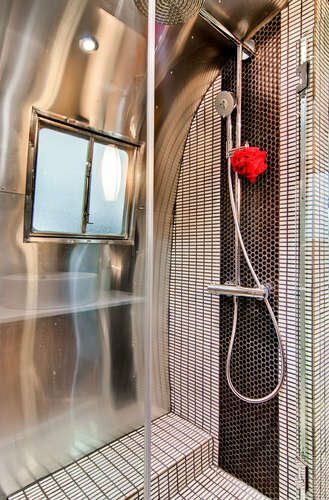 The shower sports full aluminum walls and a stainless steel floor. Super sweet design. 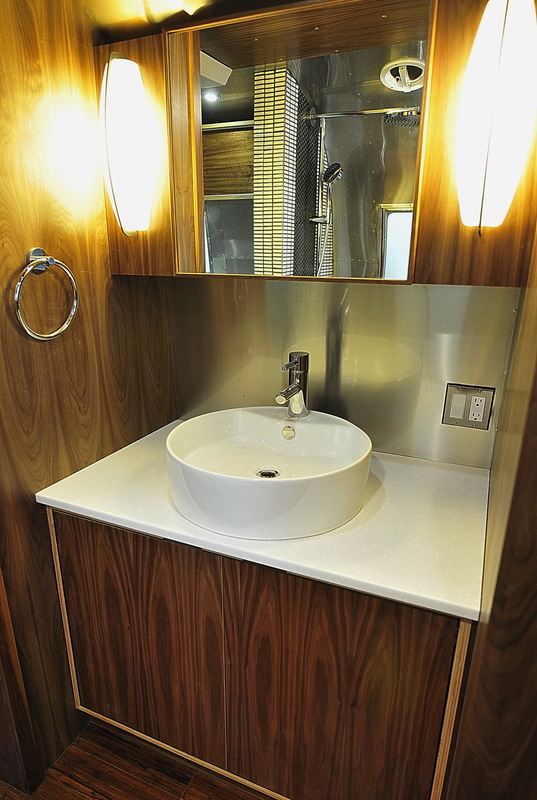 I adore the lavatory with the large stainless steel sink and glass counter. 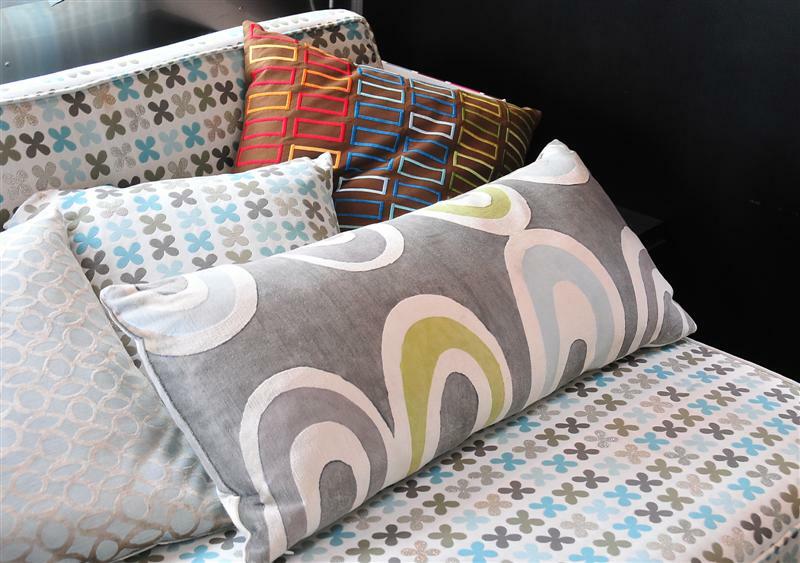 The bedroom is spacious and darling with blue and brown floral fabric throughout the unit. 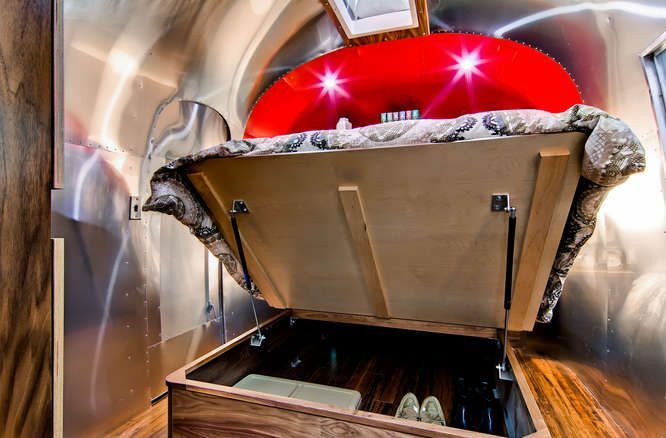 Very well done custom trailer that I’m sure the owners will enjoy for many years (and miles!) to come. 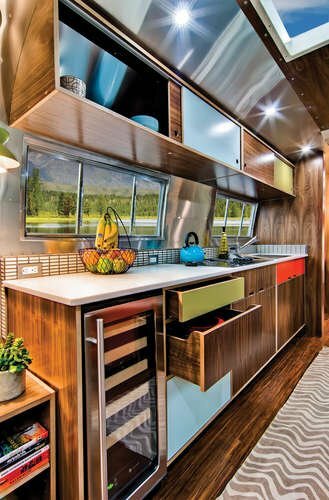 Timeless Travel Trailers, with its staff of over 25 craftspeople and technicians, can bring your trailer vision to reality. 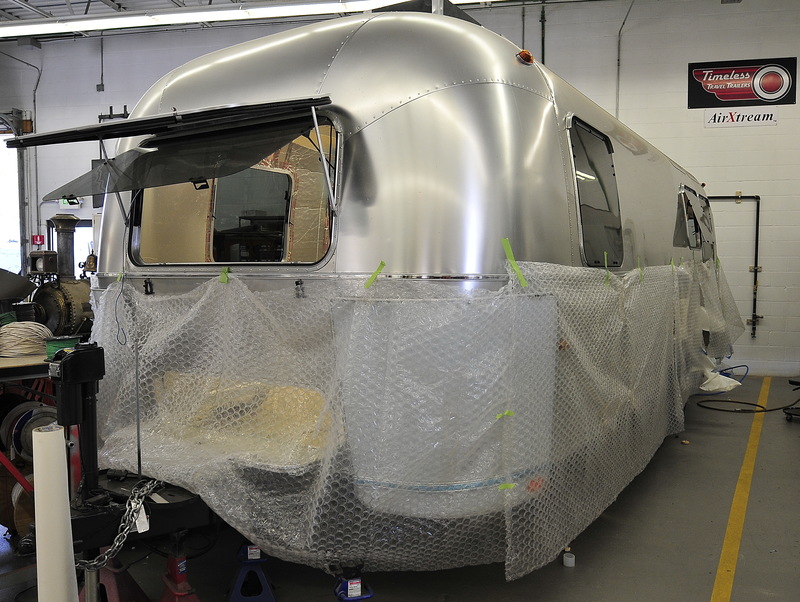 Their services include: vintage restoration, vintage remanufacture, late-model rebuild, new custom manufacture, commercial use vehicle, body work, finding your vintage trailer or ordering a custom shell.